Happy Sunday everyone! Just checking in quickly to say I haven't forgotten to post my now WAY overdue ORC nursery - we've been delayed but we are almost there! The artwork is (mostly) hung & awaiting only the rug! 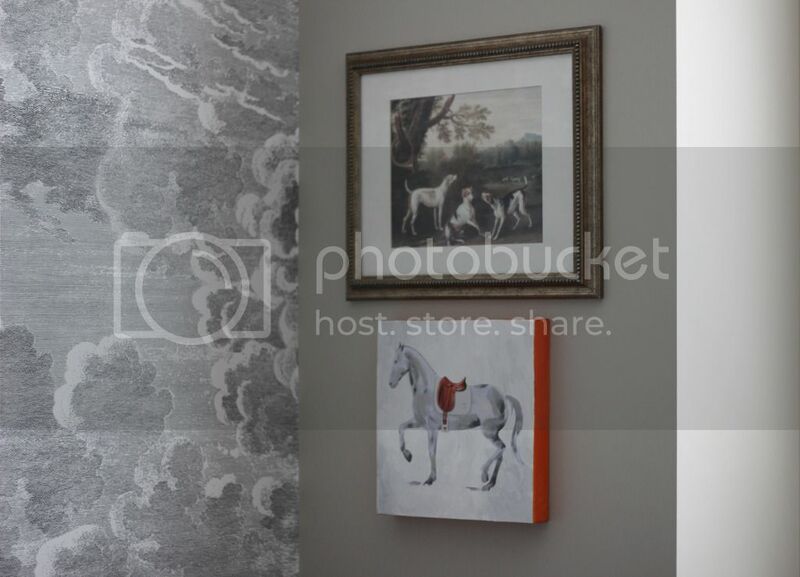 My one DIY for this space was the horse watercolor with an Hermes inspired orange canvas wrap, which pairs perfectly with the gorgeous print from anewall.